RoboKind's Expressive ZENO R25 Robot Brings Prices Down, But Is It Enough? RoboKind’s Expressive ZENO R25 Robot Brings Prices Down, But Is It Enough? RoboKind designed ZENO’s facial features to smile, frown, blink, get angry or surprised, and lip-sync. (They’re pretty darn expressive.) The robot walks (slowly), grasps objects, and uses a camera to see. An array of eight microphones picks up speech, determines who’s speaking, and even helps ZENO decide where they’re located. The robot queries websites to answer questions and uses the firm’s CompuCompassion emotion-detection software to alter responses based on mood. Paired with educational software, ZENO can teach children foreign languages or help autistic kids improve social interaction skills. Eventually the robot will store books and stories to entertain kids and improve their vocabulary. Now, about that “affordable” part. Relatively speaking, ZENO’s price tag of $2,700 is bargain basement. Other personal robots cost five or ten times as much. That said, ZENO and personal robots generally are yet pretty pricy. Unbounded Electronics’ UBR-1, for example, costs $35,000. (A screaming deal compared to Willow Garage’s older model, PR2, which ran $400,000.) Of course, UBR-1 is more advanced than ZENO and intended to perform different tasks. 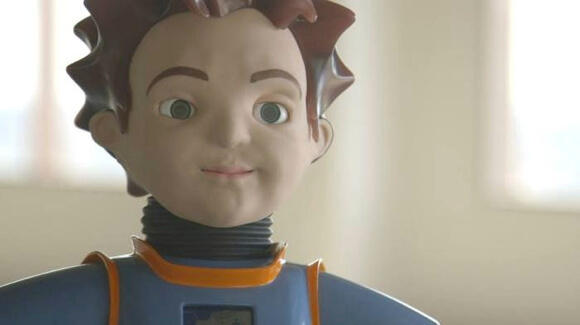 A slightly more apt comparison may be to Nao by Aldeberan Robotics (video below). At $16,000 to $18,000, Nao’s movement is far superior to ZENO’s. However, Nao lacks ZENO’s expressive face and is only available to researchers. The ZENO Kickstarter hasn’t taken off just yet, having so far raised only $12,000 or so of their $50,000 goal. Given that $2,699 is the lowest level receiving the robot—it might be a tough sell. Though personal robots are falling in price dramatically, the ratio of cost to functionality has yet to hit its sweet-spot.